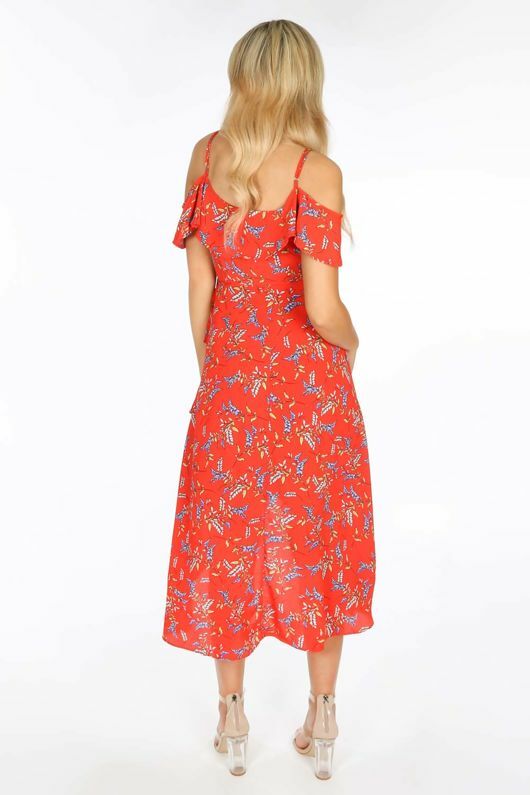 We are loving floral prints this season, and this cute ditsy floral print in red has to be our new fave! 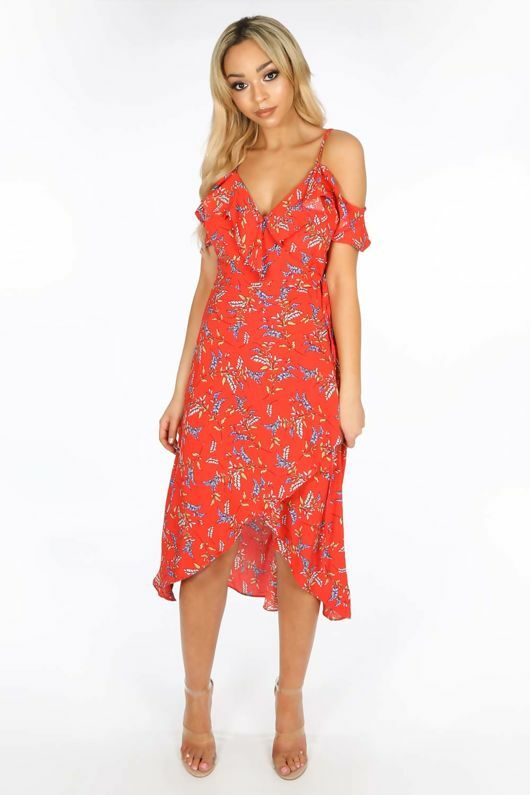 This super cute wrap dress features a frill cold shoulder and wrap around fastening. Available in a variety of colours it will be hard to just pick one!